The FCC’s proposal faces plenty of opposition from telecom companies and others, but it’s just the latest round in a long fight. 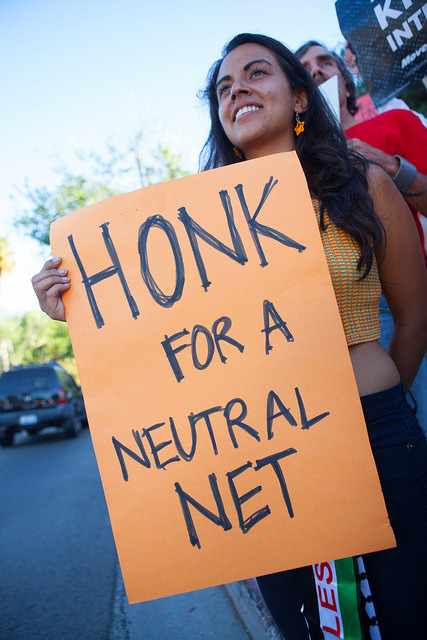 Here is a brief history of attempts to enact net neutrality and the often successful push against it. The FCC votes to deregulate cable Internet services. March 2002: The FCC, under the Bush administration and Republican Chairman Michael Powell, declares that cable modem services are “not subject to common carrier regulation,” meaning they aren’t bound by standards for nondiscrimination in service. Instead, cable Internet services fall under a separate light regulatory regime that gives the commission limited enforcement power. The FCC adopts a toothless net neutrality-like policy statement. August 2005: The FCC adopts a policy statement to “preserve and promote the open and interconnected nature of public Internet,” which focuses on protecting consumer access to content online and competition among Internet service companies. The statement has no power of enforcement. The first net neutrality bill is introduced in Congress. It dies. May 2006: Sen. Ed Markey, D-Mass., introduces a net neutrality bill that would keep Internet service companies from blocking, degrading or interfering with users’ access to their services. But the bill stalled in the House Committee on Energy and Commerce and never came to a vote. The FCC tells Comcast to stop slowing down access to BitTorrent. August 2008: The FCC, under Republican Chairman Kevin Martin, orders Comcast to stop slowing down user access to BitTorrent, a peer-to-peer sharing network often used to share music and videos. Comcast sues the FCC, and wins. September 2008 — April 2010: Comcast voluntary agrees to stop slowing down BitTorrent traffic. But it takes the FCC to court anyway, arguing that the agency is operating outside its authority. Specifically, the company points out that the FCC’s 2005 policy statement on neutrality doesn’t have the force of law. The FCC writes real rules on net neutrality. December 2010: Democratic FCC Chairman Julius Genachowski writes an order to impose net neutrality rules. Unlike the FCC’s 2005 policy statement, this new order is a real rule, not just a policy statement. Except Verizon sues the FCC, saying it has no authority to enforce the rules, and wins. September 2011 — January 2014: The District of Columbia Circuit Court of Appeals rules the Federal Communications Commission can’t enforce net neutrality rules because broadband Internet services don’t fall under its regulatory authority. Senator introduces net neutrality bill that would ban the FCC from enforcement. January 2015: Sen. John Thune, R-S.D., introduces a net neutrality bill as a discussion draft that would ban Internet service companies from blocking or degrading services or access to certain content, but would also strip the FCC of authority to enforce any of these rules. The FCC chairman proposes to reclassify broadband Internet services and enforce net neutrality. February 2015: Democratic Chairman Tom Wheeler introduces the current net neutrality proposal. Internet service companies such as AT&T and Comcast would be banned from offering paid prioritization to content providers such as Amazon for faster access. But the proposal would also allow Internet service companies to prevent other companies from using their wires to connect homes to the Internet. The FCC is expected to vote on rules today. Feb. 26, 2015: The FCC is scheduled to vote on the proposed rules this morning. The rules are expected to pass in a 3–2 decision with the two Republican commissioners dissenting. This almost certainly will result in another fight. Related coverage: Read about American state laws that make it difficult for cities to provide cheap, fast Internet through municipal broadband networks. ProPublica is a Pulitzer Prize-winning investigative newsroom. Sign up for their newsletter.